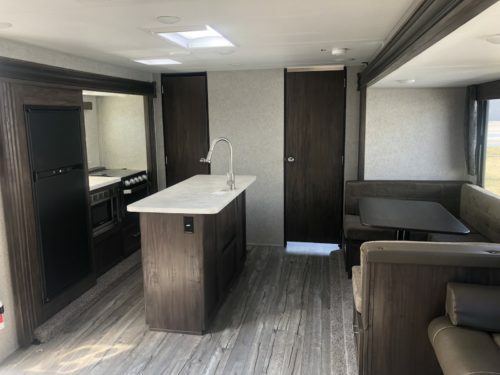 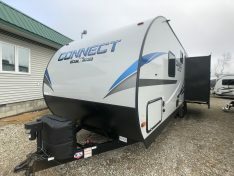 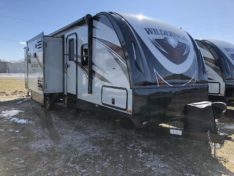 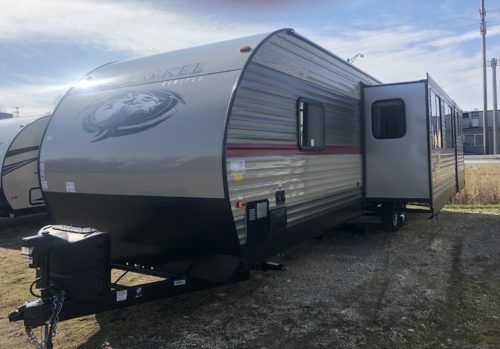 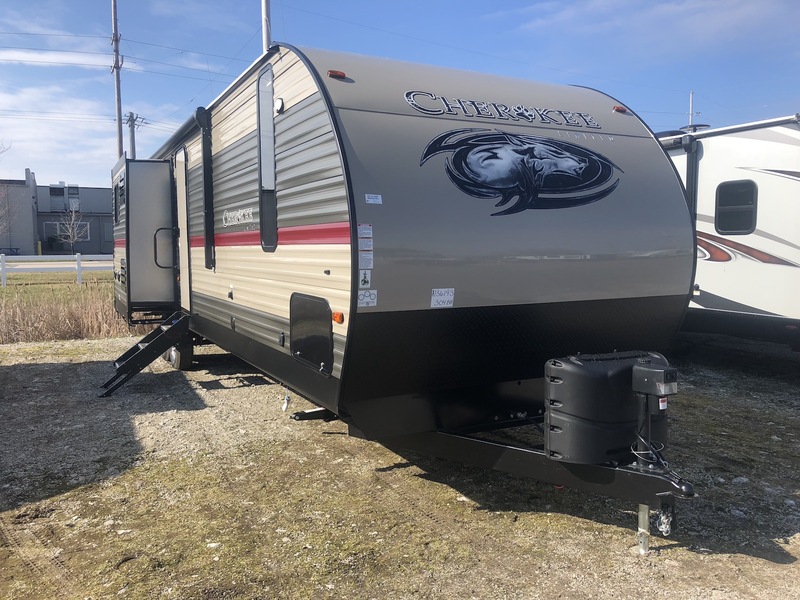 The Forest River Cherokee 304BH Bunk House Travel Trailer has 3 slide outs, a separate bunk room, and island kitchen. 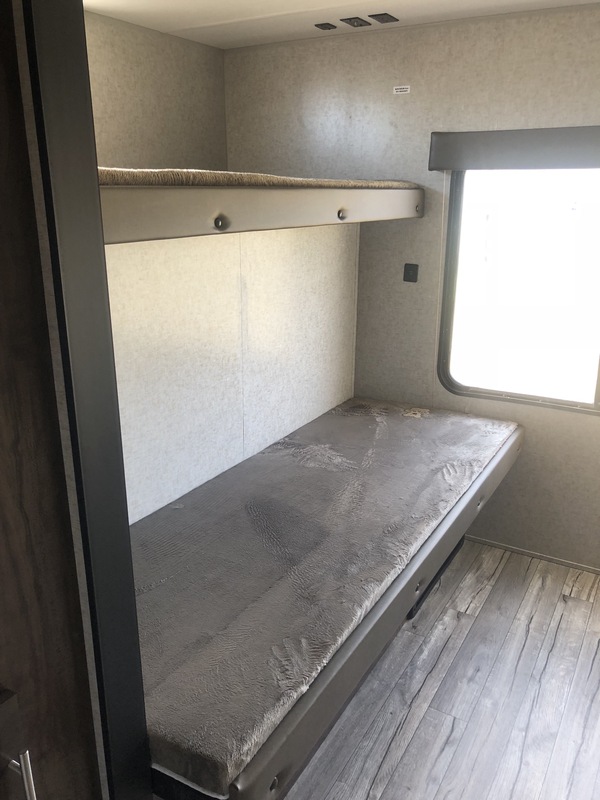 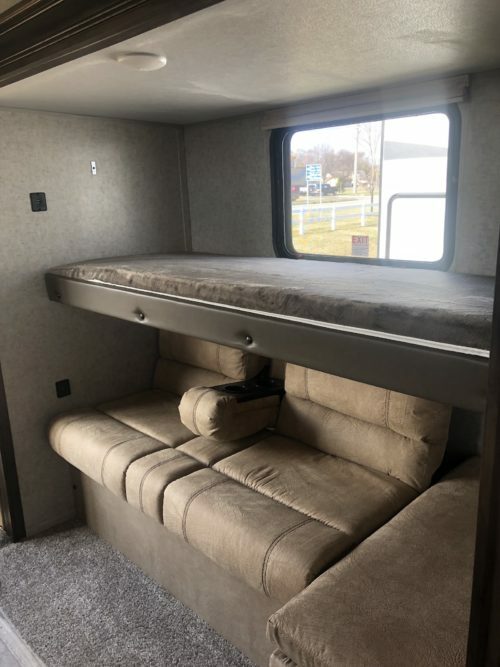 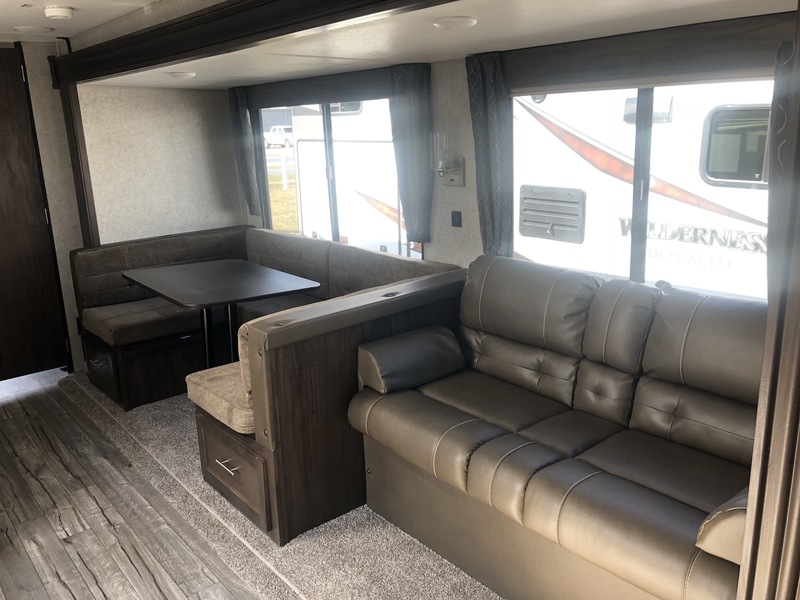 In the rear of the Cherokee 304BH is the bunk room that has one slide out, 3 bunks, and a cube sofa. The main living area has two slide outs, one on both sides. 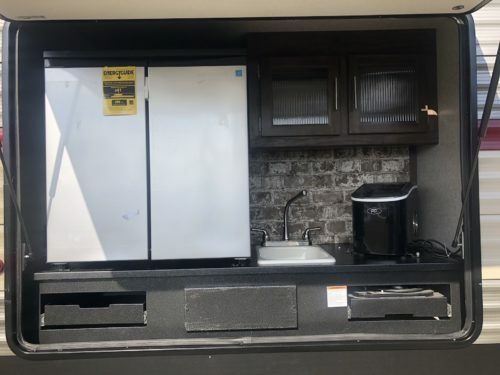 The island kitchen is very well thought out with all the modern conveniences of home like an RV 2-way refrigerator, 3 burner cooktop, and microwave. 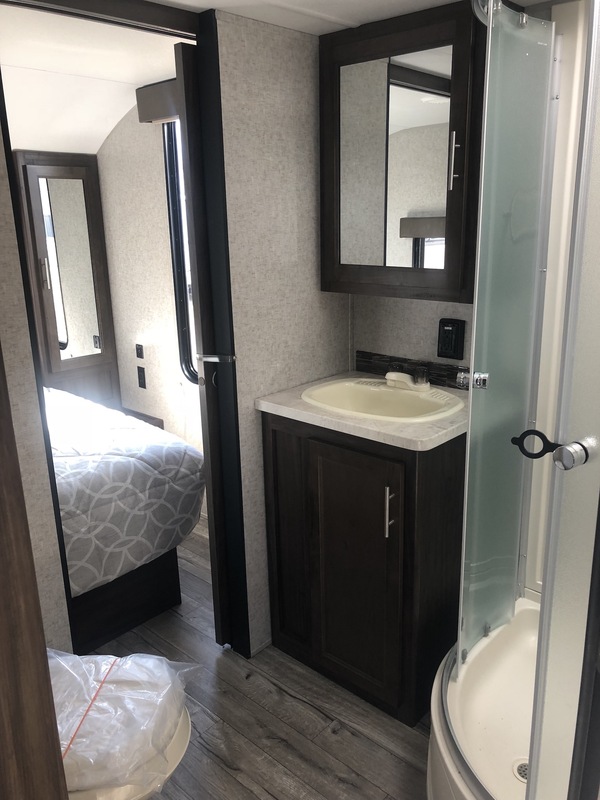 The bathroom in the 304BH has a large corner shower, toilet, and sink. 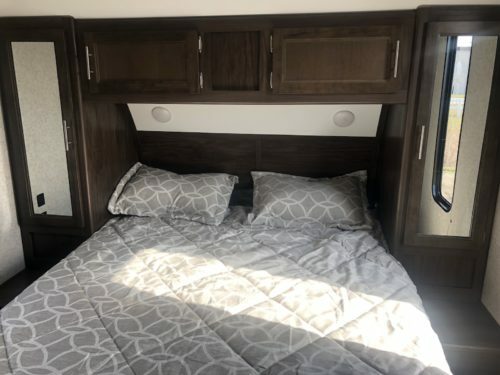 In the master bedroom, there is a queen walk around bed with wardrobes on both sides and built in under bed storage.